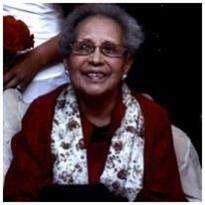 Pasqualita V. Gerlach passed away peacefully at her home Sunday, September 29, 2013 among family and friends. She was born on January 25, 1929 in Santa Fe, New Mexico and a member of Tesuque Pueblo. Preceding her in death are her parents Martin and Catherine Vigil (Swazo), her brother Martin Vigil Jr., sister (Tonie) Marie Antonita Dorame, brother in law Robert Dorame, Sister Sophie Hena, and sister in law Charlotte Nuss, brother in law Pete Nuss both of Louisville, Kentucky, brother in law James Gipe SR of Louisville, Kentucky. Surviving her is her husband of 57 years, Charles A Gerlach of Louisville, Kentucky, brother Herman Vigil, sister in law Isabel Vigil, brother in law James Hena, sister in law Evelyn Vigil and sister in law Joan Gipe of Louisville, Kentucky. Her children are Charlene (Scott Sloan), Catherine, Carolyn, Cynthia and David, granddaughter Cristina Majewski, (Dominick) as well as many Nieces, Nephews and Cousins. She graduated from high school at St. Catherine’s Indian School in Santa Fe, New Mexico and continued on to nursing school at Catherine Spalding College in Louisville, Kentucky where she became a Registered Nurse. While attending nursing school in Louisville, KY she met her husband, Charles, while he was attending the University of Louisville. In July 1956, Charles and Pasqualita married at the St. Francis Cathedral in Santa Fe, New Mexico and in July 2006, they celebrated their 50th Wedding Anniversary in a renewal of vows ceremony at the St Francis Cathedral. She worked as an RN at the Veterans Administration Hospital in Louisville, Kentucky and later retired as Assistant Director of Nursing from the Public Health Service-Indian Hospital in Santa Fe, New Mexico. She was an active member of the Kateri Tekawitha Circle and traveled around the state of New Mexico and the U.S. as an advocate to canonize Kateri as a Native American Saint. The Pope canonized Kateri Tekawitha on October 21, 2012. She also enjoyed staying active visiting friends and family around the United States and loved traveling. She traveled all around the world, mostly by way of cruise ship with her husband, visiting over 30 countries throughout her lifetime. Thank you to all the doctors, nurses, and staff members at the Indian Health Services Hospital in Santa Fe, New Mexico for all your wonderful care and support. Visitation at McGee Chapel, Sunday October 6, 2013 from 2pm to 4pm, Rosary 4pm to 5pm. Funeral Mass at Tesuque Pueblo Church at 10:30am on Monday October 7, 2013, burial to follow at National Cemetery, Santa Fe, NM at 12:45 pm, Reception to follow at McGee Chapel reception room at 1:15pm to 3:15pm.